Well it seems I'm going to be in Boston in mid October 2013. So I bought a ticket to see Ian on the 12th. I think I'm going to look up some locals! I can't tell...are we in the Yuppies and Boston Accents or the Murders? No wonder my drives home from Mass are so grueling and boring, I drive all the way through the insignificance...twice a week..I stopped in Shrewsbury one time to eat. Yeah, won't do that again. Oh also...we were wondering about who else might go too...I can't remember who we were thinking of, but there was someone here we were wondering if they could go, it'd be awesome if they could...hmmm...just can't remember. It would be great to meet for dinner and drinks at the junction of "Yuppies and Boston Accents", "Big Egos" and "Murder and Stuff". Sounds like I, being "A Stupid Californian on Holiday" (another map) could get a good feel for the place, and maybe see some action. As far as others going? have to rely on Charlie for that, I have no concept of the distances, being "A Stupid Californian.......". Boston, being the most Irish city in the nation, is the best time to try an Irish pub. I went on a school trip in 98 and we went to this one pub and the waitress was straight from Ireland, she wasn't even sure what I meant by soda (what do they call it over there then?) It was nice. I've also been to the aquarium and museum of science but I'm sure that's not a Saturday night kind of thing. 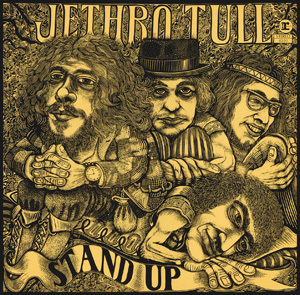 My shows in Boston included people thirty years older than me asking me if I even knew all the songs Tull was playing, because they had never heard of them. You know...those deep tracks. My accent is RI and very similar to Mass, people in CT have commented on my accent...they're more New York I guess. Sounds like us Tull people belong in the pseudo intellectual area, no? haha. Kenny will be happy if we leave him in Baseball. Where's the Irish dance section...I used to drive to Mass every week for dance. I'd pay to watch that! TM come up! That's who I was thinking of! Thank you! Finally. Or maybe he wants to Newyorkachusetts. Come on TM! I have some makeup that's still intact, I'll set it in the car for you. Kenny's considering getting a ticket but leaning towards not...He said he's got time to think about it. He didn't go to the show but the footage of Ryan singing annoyed him. He said it makes him feel OCD about the authenticity of it all. Yeah, TM, who is going to be loud and obnoxious with me? If Kenny goes, you guys can get a fruit basket, leave it out in the sun for awhile and sit in a small room with no windows while I go off and have fun. I'll invite Jen. Get Quizz to canoe across the pond and come with us too. Come to New England! It's just like Olde England but New. Wouldn't I love to team up with you lads and lasses for a Tull gig out there. Love the US, done Florida several times but only one trip to Boston a few years back, which we loved. Revisiting and combining it with a Tull get-together and gig would be fun. A friend of mine from Boston, Russell (a/k/a 'sunnyjim' on the Board), contacted me a few weeks ago about me coming up to Boston for the October 12th show, and I told him if he gets the tickets for us, I will be there. I used to see a lot of shows with him in Massachusetts and New York back in the early to mid-nineties, but then I fell out of touch with him for 17 years, until he found me here on the Board. We reconnected last year at the NJPAC show (and Ken Green's pre-show Tull cave party), and we vowed to see more shows together in the future. He is very particular about tickets, and will always get something great, even if it means holding out until the end. I have every confidence that he's going to get us great seats, so it's very likely I am going to be at that show. It looks like a Jethro Tull Board Convention is taking shape! Pat, that would be great if you and Liz could make it over for that show, if you are able. Happy Birthday, btw, I know I'm a little late, but hope you had a good one! I'm supposed to be in Delaware that weekend. Now how the hell can I do that with all you guys are getting together up north? If you can talk Paul into going you may find me there also. Pat, that would've been just awesome! The northeast and New England is just beautiful in autumn. Though I don't know if we'd experience a lot of that in the city anyway...and we all love an English accent. It'll offset the Bawston accent that's going to make everyone else's ears bleed when Charlie and I speak. ha. TM, what are you doing in Delaware? I just got an image in my head of Wayne's World...remember..."Hey...we're in...Delaware"
Yay Jeff too! I have not met you yet either! We're going to pretty much own place. Just reserve the whole place for the Board. Dan, only for TM? Hmph. If only Boston meant Brazil, Dan! I think it's impossible to get bored with Ian! During the year, there will be a brief interruption of the Tour of TaaB2, with "The Best OF". This intrigues me greatly. What does Ian means for "The Best Of"? Fabulous!! So this year, loyal fans can attend 2 TaaB, "The Best Of", and the Christmas Show. I can't wait to be there. My tickets are already ready.